Saturday, 9 January 2016, was the first meet-up to the Bayong ng Kuting writing workshop. 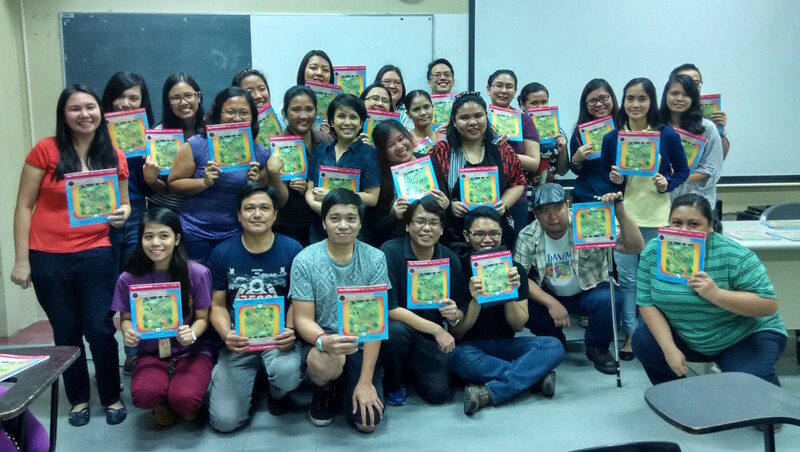 26 of the 70 participants who signed up for the workshop came to meet moderator Mina V. Esguerra and kidlit author and teacher Gabby Lee, who shared best practices for writing children’s stories. The challenge now is to be able to write 1,000 to 1,500 words in English, set in the Bayong ng Kuting universe, targeting the same reading audience, following a writing schedule. 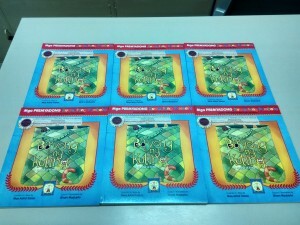 Participants received a free copy of the book, and will receive regular prompts and online lessons to help them with their writing. Authors should submit a story that they don’t mind seeing published, or produced in other media such as ebooks, YouTube videos or apps. What kind of characters did you like/were drawn to/identified with? Don’t overwrite. Aim for the perfect first sentence. It’s the sentence that reader wants to read more. Take note of the word count and see how the backstory can be conveyed given the word count limits. Think about the conflict, not just the theme. Children often ask “Who am I in this story?” One of the characters have to be relatable to the reader. One workaround to be gender-neutral is to use anthropomorphic animals.